Flowers are unusual plants. If you look for a long time at the beauty of the rose petals, warm, soft colors of tulips, or the grace of lilies, it may occur to you that the flowers were brought to the Earth from some other planet. They are too unusual, sometimes even mysterious. Perhaps that's why all the women all over the world love flowers so much. And Russian girls are not an exception. Today we will figure out which flowers on the first date will be most appropriate. After all, in order to make a good impression, you can’t buy the first flowers on a date in the first store on your way. It is necessary to treat the matter with taste and love. And such approach guarantees success! At all times, flowers were a symbol of purity and beauty. In ancient times, many different tribes lived on the territory of modern Russia. They could worship different gods, engage in farming or hunting, but they all had one thing in common: a reverent attitude towards flowers. Flowers were presented to ordinary people as well as to the leaders. Each flower had a symbolic meaning and was intended for certain purposes. It was also important who gave flowers: a lover, a parent, a spouse or man looking for friendship or mutually beneficial business. Today, it is hard to imagine dating Russian women without a bouquet of fresh flowers. Floral symbolism has almost completely disappeared nowadays. Only historians and researchers of ancient Russian culture know about it, but the tradition itself was fully preserved. These plants are extremely popular. For example, first date flowers are totally necessary if you are looking to have a good time with a Russian girl. In Russia, flowers are given on the slightest occasion and without any. It is important to know one thing: flowers are given only in the odd number. This is an ancient custom that should not be violated. If you suddenly give a person two or four flowers, you can anger and offend him. The fact is that an even number of flowers are used in funeral rituals. A strong association with death has only intensified over the years. A gift with an incorrect number of flowers can be interpreted as an evil intention on your part. So, keep that in mind while dating Russian girls! There is another rule of etiquette about how to give flowers on a date which you should know about. Flowers are given with the left hand and the right should be left free for greeting. If you are going to a birthday party, flowers should be left in the room where the party is held. Don't take them to the kitchen or bathroom. Despite the fact that in Russia it is customary to give practically any kind of flowers, some of them should be discussed separately. They are especially popular as gifts for girls and they will be admired by any Russian girl. This is probably the most popular kind of flowers in Russia. They were grown in ancient Rome for the first time. Despite the practicality of people of that era (they used their gardens only for the cultivation of useful plants that could be used for food or for other household needs), roses had become very popular. They captivated with their beauty and unique aroma. Today, there is a huge variety of roses in the world and many of them are grown in Russia. White and red roses are especially popular. If you want to express your romantic intentions and to date a Russian girl, a lush bouquet of such flowers will be a great way to do that. It is simple but effective way to impress your lady among other gift ideas for girls. This kind of flowers is most often used as a gift for personal or family holidays. But many Russians like to take a carnation gift as a special sign of attention. It is worth noting that this kind of flowers is especially liked by adult ladies. Think a few times, before giving the carnations to the young lady. So buy these flowers if you want to date a Russian woman, not a girl. Lilies occupy a special place in various cultures of the world and Russia makes no exception in this regard. These gentle flowers with the original form will be an excellent gift for a young girl if you want to express your love feelings. 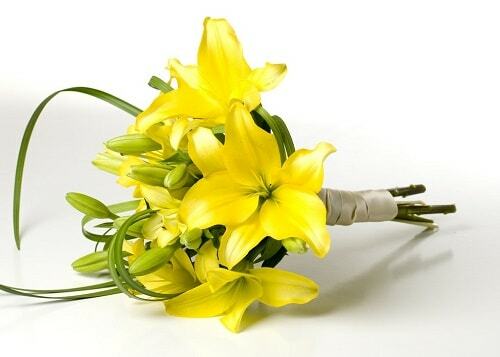 16 kinds of lilies are grown in Russia, and many of them can be found in any flower boutique. Some scientists say that the aroma of these flowers helps to fight stress. Lilies will be a pleasant gift for any lady. These inexpensive but charming flowers have been known as a gift from ancient times. Many Russian girls just lose their heads at the sight of a lush bouquet of chamomiles. They are almost scentless, but they retain their simple and attractive beauty for days. Just take them with you if you want to date a Russian lady and conquer her heart and soul! Flowers in the pot. This is an ancient and respected tradition to give such flowers. A bouquet of fruits. A very unusual gift that has become popular in Russia. You can combine different fresh fruits to get an original and bright bouquet. In addition, it is delicious and healthy! Topiary. These trees of happiness are very popular in Russia. The choice of such plants is very large, so you won`t have any problems with finding a decent gift. 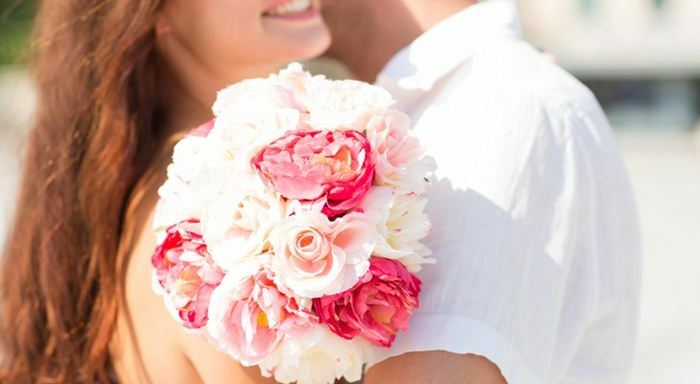 There are other alternatives to conventional bouquets but these three are especially popular. Do not be afraid to be original and please your beloved girl with beautiful bouquets. Believe me, it's worth it!